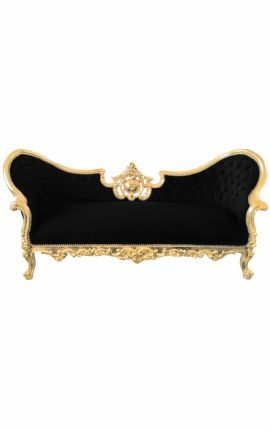 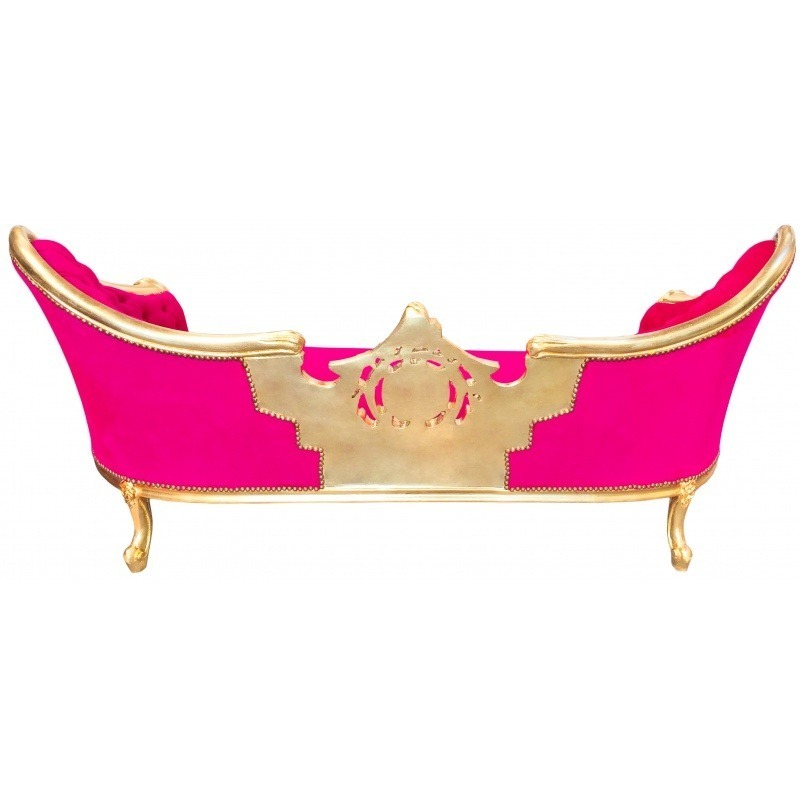 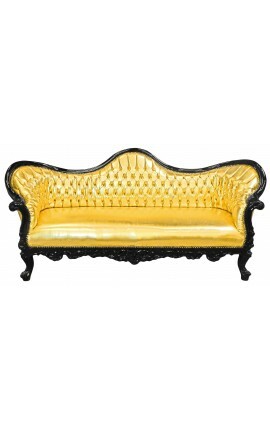 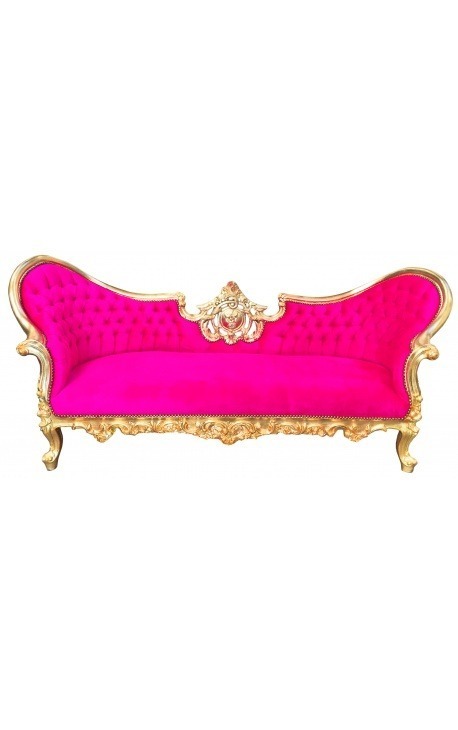 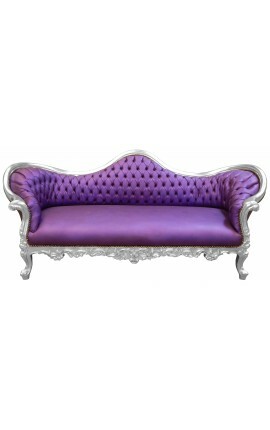 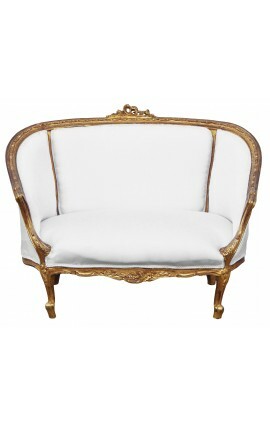 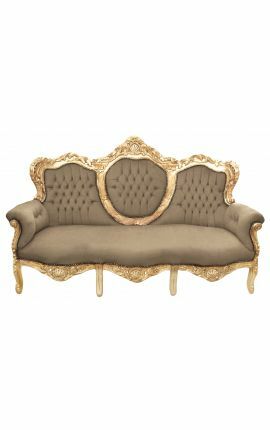 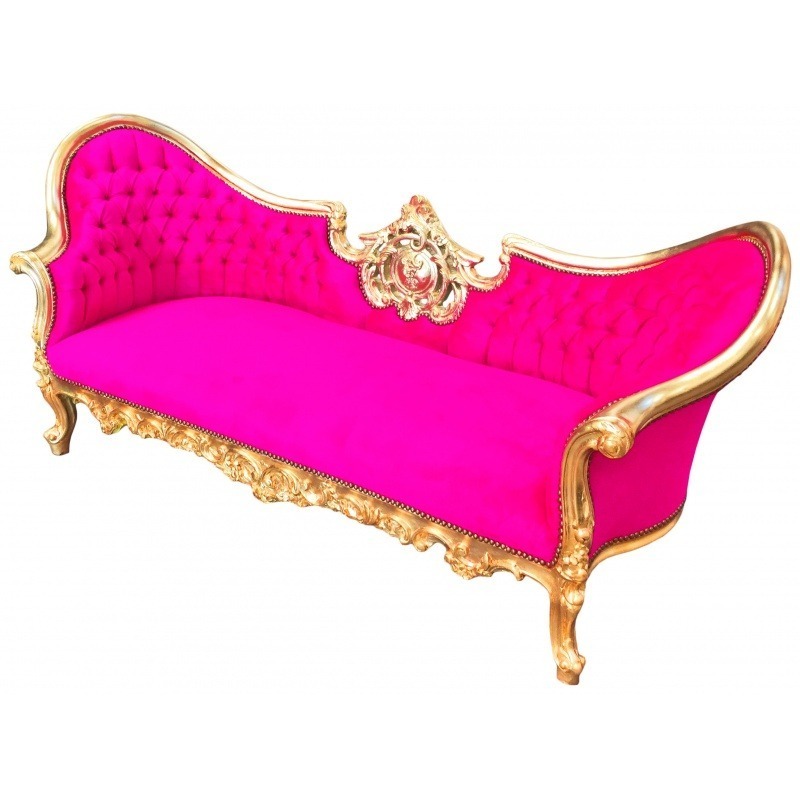 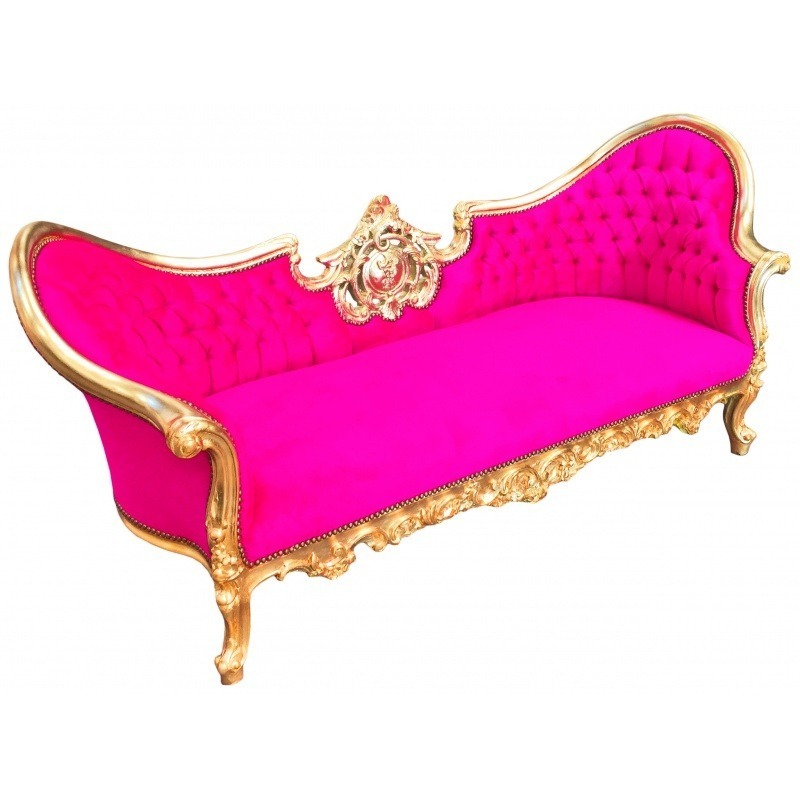 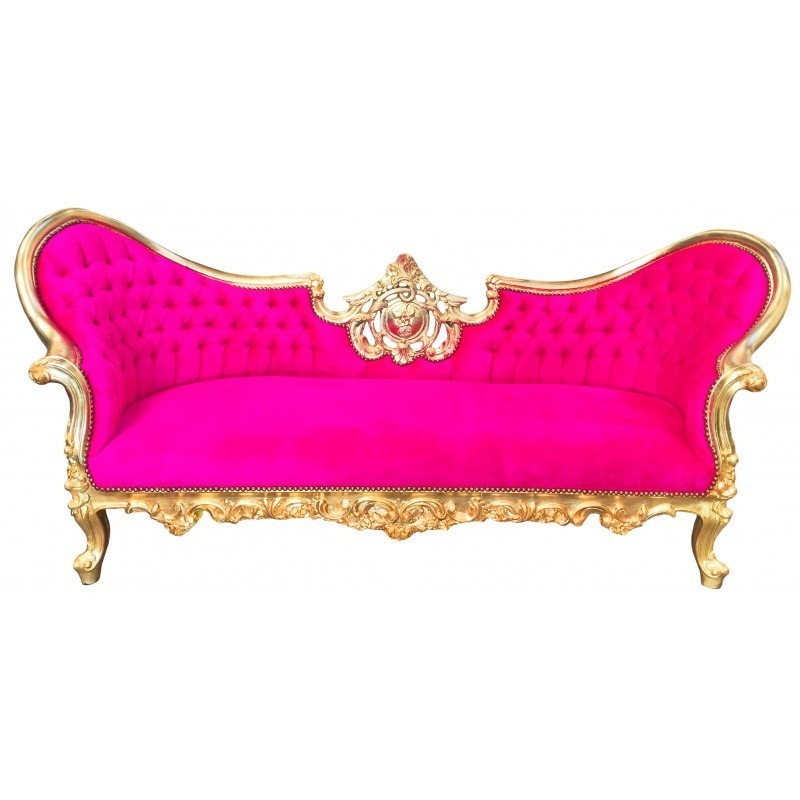 Beautiful Baroque Napoleon III sofa with central medallion and fabric color fuchsia velvet and gold leaf wood. 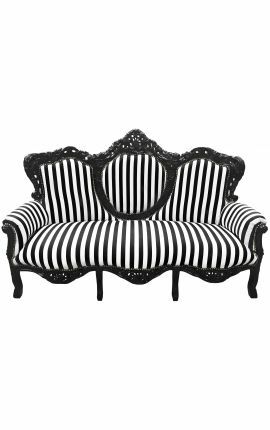 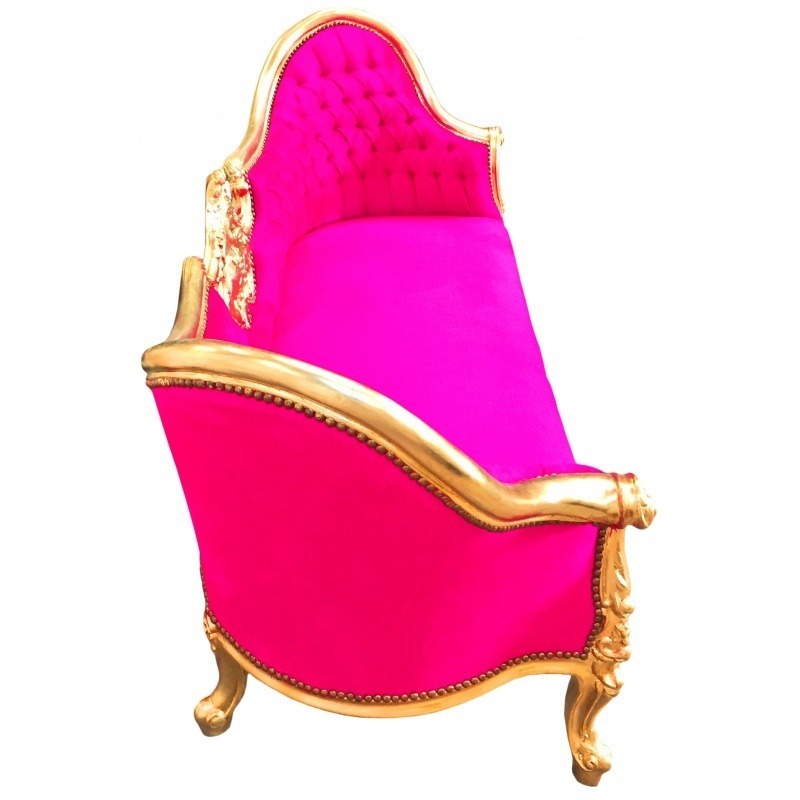 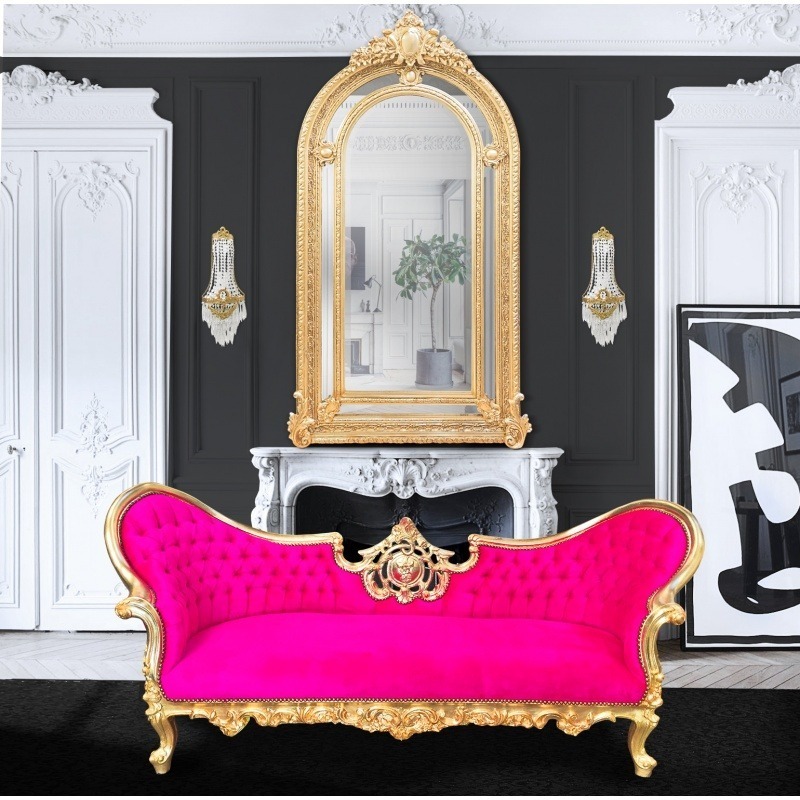 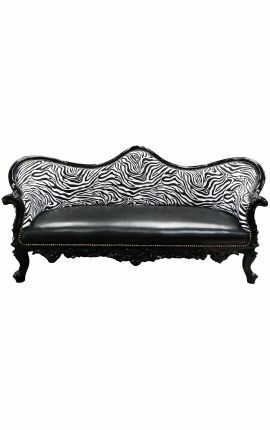 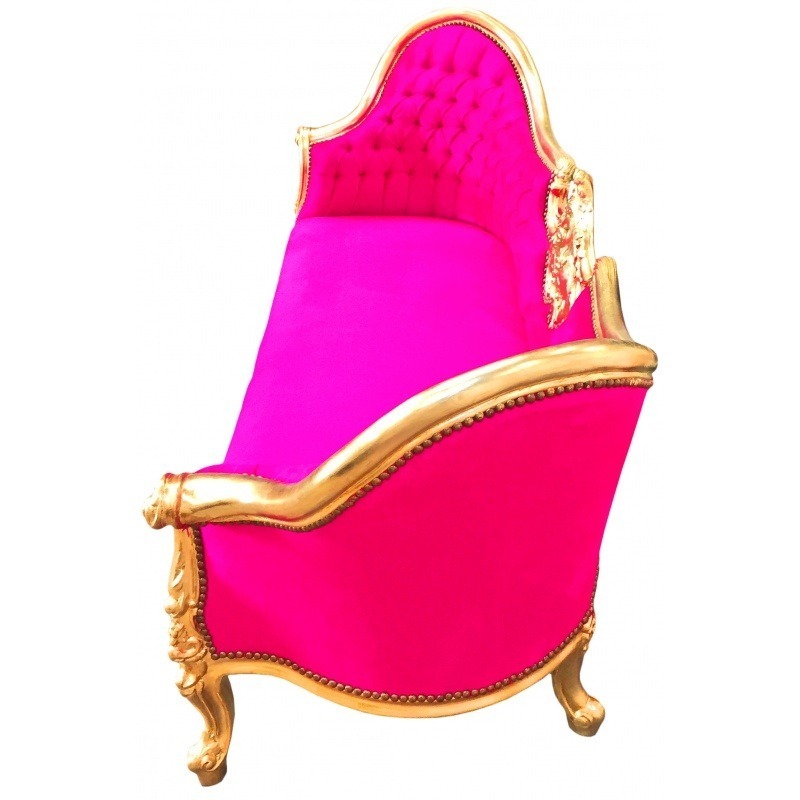 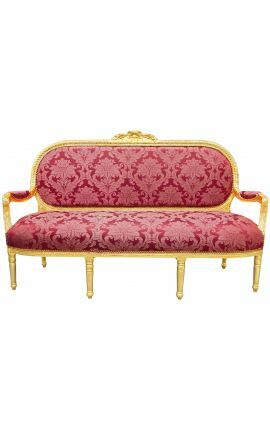 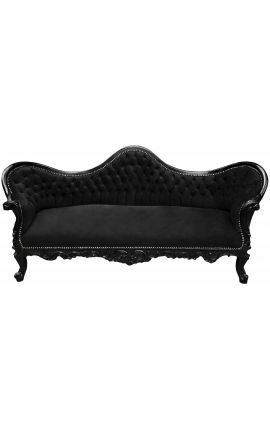 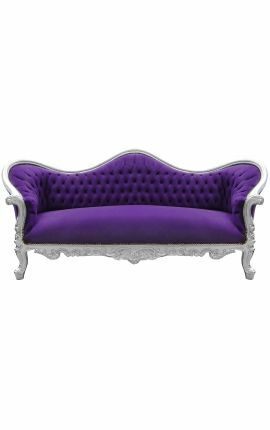 This magnificent baroque sofa style of Napoleon III has a beautiful fuchsia velvet fabric which is studded all around the frame. 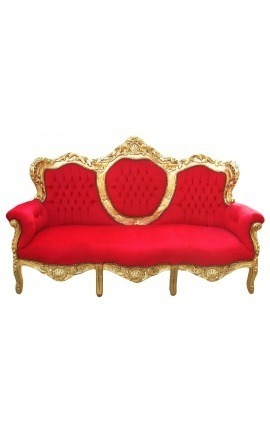 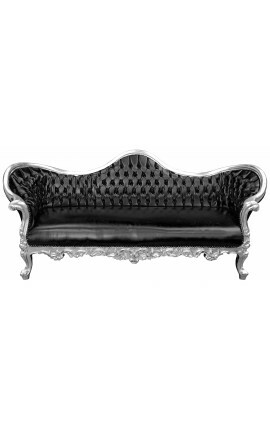 The backrest is padded along its length and the seating is very comfortable and soft. 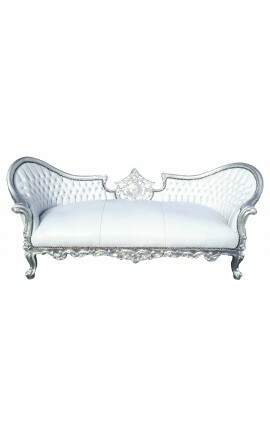 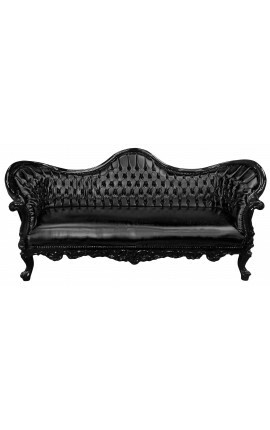 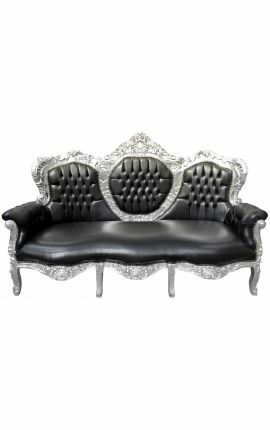 The structure of this sofa is made of wood (beech) finely hand carved by our craftsmen. 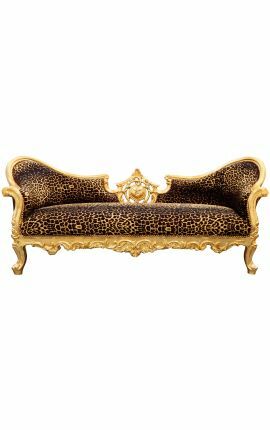 The gold color is made with leaf. 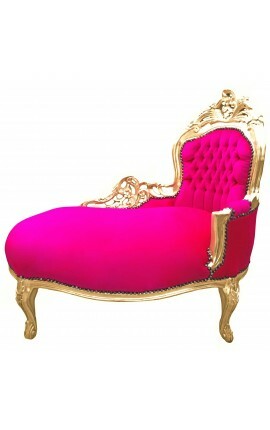 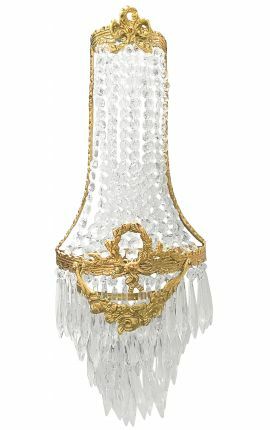 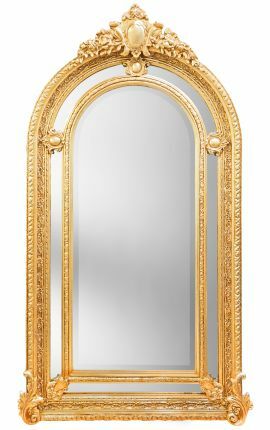 Dimensions: 210 cm wide x 84 cm high x 80 cm deep.